Description: A very private setting for this 3 bedroom, 1 1/2 bath, well maintained ranch style house overlooking sunset views of indian lake. 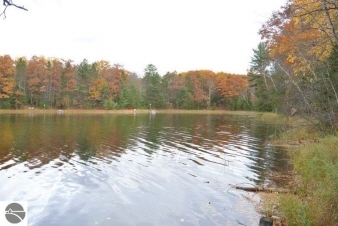 Enjoy 307' of private frontage offering quiet enjoyment of otters, wildlife & fishing. The property is wooded with some cleared areas. The back deck is 41' x 12' & also has a large covered front porch. The house has new or newer roof, insulation, pella windows & architectural design slider w/int. Blinds, new carpet, furnace, water heater, appliances, freshly painted with gorgeous maple flooring. The breakfast nook is a great spot to start your day.